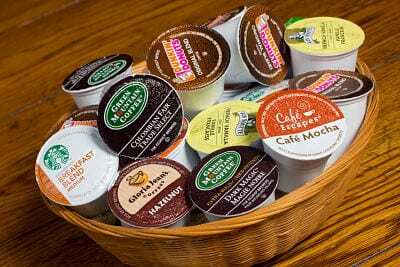 » What are the Best Coffee Makers for K Cups? One thing is for sure: There’s almost no end to options for today’s coffee lovers. This is a luxury, but it comes with an obvious challenge: Which one will work for you? If you’re used to regular coffee makers, we have one suggestion before you invest in your next coffee machine. Consider K Cup coffee making and all the benefits that come with it. It’s certainly worth it, but you need a custom machine to enjoy it. 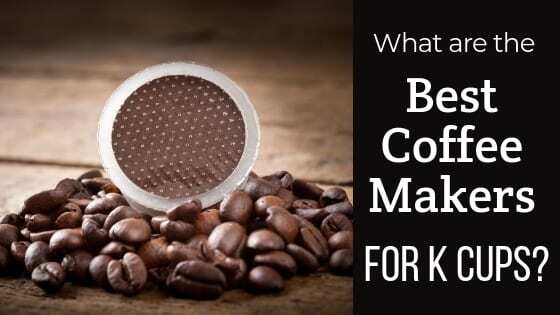 If you’re wondering what coffee makers use K Cups, we’ve got you covered. To help everyone make the best decision, let’s summarize this coffee making method and then help you pick the best coffee maker for K Cups that’s missing from your kitchen. The revolutionary coffee invention called a K Cup was launched by the brand Keurig. Among its other coffee industry products Keurig offers this plastic cup, filled with grounds and sealed with an aluminum lid & filter. The grounds are just enough for one cup of coffee, hence the reference ‘single serve coffee making’. The contents can also be tea leaves or powder for other drinks such as cocoa. Thanks to the nitrogen flush and sealing process the grounds stay fresh until you use it. After you place this into a K Cup coffee maker (of which we’ll review a few below) the machine pierces the foil and the bottom. Then water is forced through the grounds and the filter, ending in your cup as a tasty brew. The ideal temperature for this single serve coffee making process is usually 192°F. An important factor in picking a machine is whether it can maintain high temperatures throughout the process. Today you’ll find many machine brands providing this function and also many different brands manufacturing K Cups. Some are in partnership with Keurig. Because so many of these cups end up in landfill this became an environmental concern. Keurig responded with the My K Cup which is reusable. You can fill it with the grounds of your choice, but still use your single serve coffee maker. Handy tip: Don’t confuse these cups with pods. The latter refers to biodegradable round bags filled with coffee or other drinks. Some coffee lovers feel K Cup coffee isn’t as flavorful as when grinding the beans yourself and using a drip brewer. Luckily you can opt to add your grinds to a My K Cup if you find this to be the case for you. You have a much wider variety of coffee flavors to pick from, with Keurig offering 400 options. This includes other drinks such as teas and cocoas. It’s a quick, convenient process. There’s no mess afterwards. Each guest can have their own choice of drink since you’re not brewing a whole pot. You don’t have to clean the entire machine to ensure the next cup isn’t contaminated with the previous brew’s flavour. It’s an easy method of brewing high quality coffee even if you’re not at home, as you can make this while camping. You don’t have to sacrifice your drink preferences simply because you’re off the beaten track. Many single brew coffee makers are smaller in design than regular machines and grinders. This makes it a practical option if your kitchen has limited space. The Keurig brand offers high quality coffee which makes this an impressive option for your office if you want to impress visitors. Sound like a good idea to add one to your kitchen? Even if you already have a coffee maker, the variety of options makes it a worthwhile purchase. And if you’re looking for a gift, chances are any recipient will love this as a present. Aesthetics: Find one that matches your kitchen décor. There are enough color and design options to pick from. Speed: How fast it works may depend on whether you pick electric or gravity powered. Compatibility: Is it compatible with the K Cups you prefer, such as the biodegradable pods loved by those who want to minimize their carbon footprint? You may also want the option of using the My K-Cup so you throw away fewer cups. Versatility: Does it allow other drink making options if you don’t want single serve coffee exclusively, or need to cater for the entire family’s preferences? Price range: The best will align with your preferences, not necessarily have the highest price tag. User friendliness: You want an easy interface and note that electric machines are usually easier to operate. Setup: Look at the size of the water tank, as you may not like filling the cup every time you make a cup. These picks are some of the best on the market today. Of course, we have to talk about Keurig’s own machines first. But this one’s ratings has nothing to do with preference for the Keurig name. The Keurig K55 is really one of the most impressive units, often landing at the top of review lists. The machine impresses from the outset as it looks stylish in black and silver. Of course practicality matters most and this one doesn’t disappoint as it’s user friendly and you can use it for many different flavors of coffee or other drinks & yes, you can use other brands’ cups too. We also love that there’s a large reservoir so you can make up to eight cups before refilling again. This depends on what size cup you brew and we appreciate that you can opt between three types: 6oz, 8oz or 10oz. It’s a compact, minimalistic design which will fit in most kitchens and fit in with décor & other appliances. It has advanced technology too as it can shut off automatically and descale on its own. Just note that descaling only won’t do the job. From time to time you’ll have to rinse with vinegar water. One of the convenient options on this list that allows you to make coffee from either K cups or ground coffee. The Hamilton Beach FlexBrew’s 2-in-1 feature means you’ll be ready for coffee brewing no matter the circumstances: a carafe to cater for a crowd, or simply treat yourself to a K Cup brew. The reservoirs for both options have water windows so it’s easy to gauge when to refill. With multiple options available, this is a sensible option for a family with different preferences. You can also alter brew strength to suit your palate. The exterior looks stylish in black, while inside you’ll find advanced characteristics such as an Auto Pause feature on the carafe system. There’s also a shut off option, though it’s set considerably longer than most other machines. For a multi function machine it’s remarkably light, so you may be taking this with you when you travel. If compact design is at the top of your priority list, this will probably be the one you order. Top of the list of impressive features is that the Chulux K Cup Coffee Maker QF-CM801 is a one touch operation machine.  No complicated procedures are necessary, which makes it practical even for users new to the coffee industry and all its options. It’s a durable machine so you can move it around the kitchen without risk of damaging components. This as well as the light weight feature make it ideal to take on holiday such as going camping. The design includes a Cool Touch exterior so even if your coffee is piping hot you can still touch the machine without risk of burning. The ideal machine if you have kids around. The reservoir is a bit small, but it’s to be expected from such a compact design. At least you won’t refill it EVERY time. It’s available in different colors so match its look to your personal style. Of course you’ll pay a little more for this Keurig model, but the range of features is worth it. The Keurig 575 is probably a Keurig machine for the more experienced coffee aficionado although the water on demand is convenient for anyone. For the experts you’ll find temperature controls and brew strength so you can customize your drink to your preferences. Something as simple as the reservoir even has unique features. You can remove it instead of having to fill it with a jug and you can make 10 cups or more with one full tank of water. That means you’ll probably never have to refill in the middle of a session of entertaining a few guests. This is a programmable machine so it will be ready to serve you when you’re in a rush in the morning. It also has auto shut off settings, as you’ll expect from a high end model. Of course this is heavier so it’s not the most portable option mentioned here. This one is on our list thanks to its compact design and its soothingly silent operation. You don’t simply want a cup of coffee—you want a creamy brew, right? That’s possible thanks to the Pixie. Best of all is you don’t have to wait long because it does the work in only half a minute. Part of its magic lies in the powerful 19 bar pressure pump. Proof of its genius design also lies in the fact that it operates super quiet and is quite durable, which is what you expect from this famous brand. However, note that it’s mostly plastic; don’t expect a metal appliance. The brand didn’t forget looks, so this will present well on your counter too. Despite its name it has a reasonably sized reservoir. What an impressive machine! It adds style to the room and it works well too. This also helps minimize your carbon footprint. Consumers love this model for its many user friendly aspects. This one is a winner for its versatility, so you can get the perfect drink, no matter your preferences. You get a compact Keurig machine that will fit on any sized kitchen counter. The small sized machine can accommodate mugs up to 5.2” tall if you remove its drip tray. You can see Keurig is still the market leader if you want to know what coffee makers use K cups. However, many other brands joined the market and that gives you a more diverse range to pick from. The K55 is always a winner and even if you don’t know what your preferences are, you won’t regret that buy. However, we also suggest you give the Chulux model a try. Your coffee maker doesn’t have to rob you of counter space and there’s no compromise on taste. What do you think is the most important feature when shopping for coffee makers? Share your thoughts in the comments below so everyone can make informed decisions when ordering coffee makers. Previous Post 51 Awesome Gifts Ideas for Coffee Lovers Next Post What are the Best Coffee Makers for K Cups?